The product is generally used in manufacturing chemicals such as Manganese Sulphate, Manganese Carbonate, certain pesticides, fungicides etc. 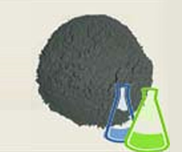 The production process is tailored such that non acid soluble Manganese content is kept to a minimum. Also, additional steps are taken to control the iron and silica content in the material. Please note that the above specifications are ones that are typically used for the applications stated above. However, if the above specifications do not match the customer’s needs, we will gladly tailor make the product for him. Parameters such as Mn, Fe and Si content, Mesh size and heavy metal content can be altered as per the customer’s request.